The NEW Flipo Magnetic Quick-Release Keyring Flashlight is the perfect add-on to keychains, backpacks and much more! Easily activate the super bright COB LED light by detaching the flashlight from the carabiner clip using the magnetic quick-release feature. 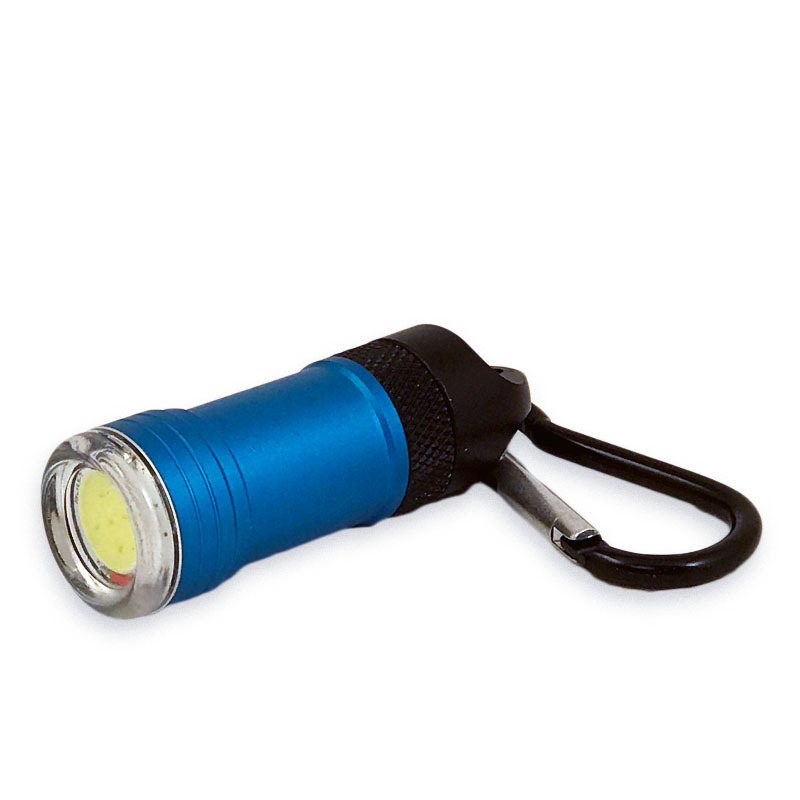 The COB LED light offers 3 light modes: high (releasing flashlight once), low (releasing flashlight a second time), and flashing (releasing flashlight a third time).The super strong magnet allows you to easily re-attach the light back to the clip, turning the flashlight off. 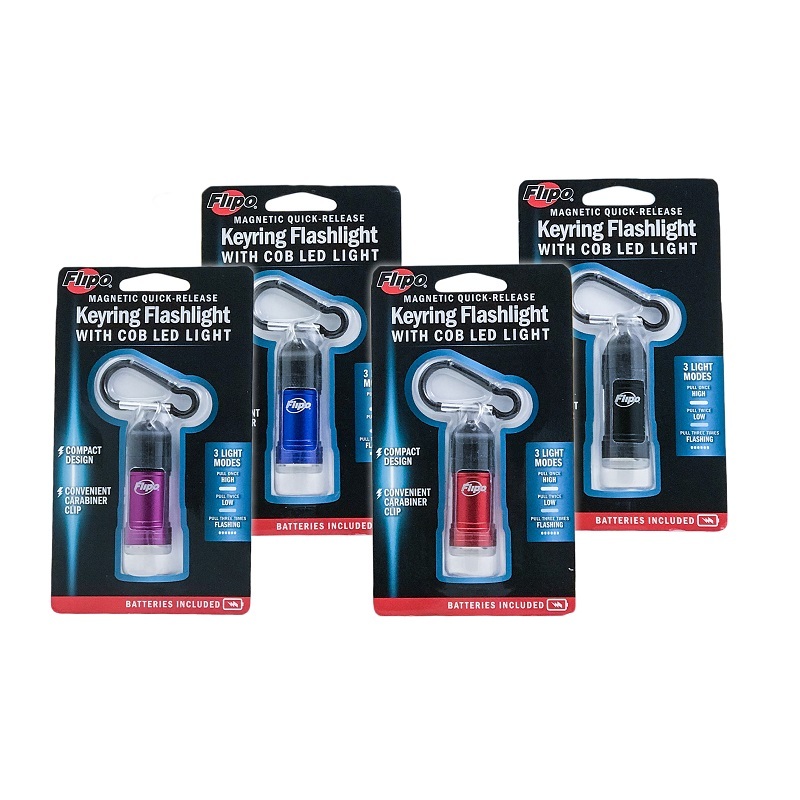 Attach this small but mighty light anywhere with the convenient carabiner clip! Available in black, blue, purple and red. 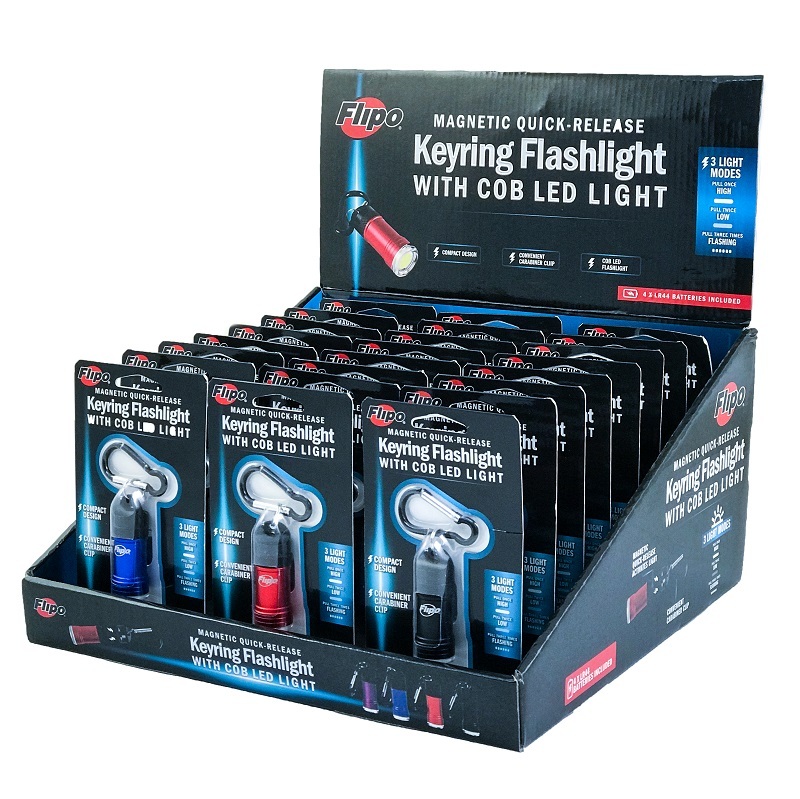 Each 24 PC display includes 6 black, 6 blue, 6 purple, and 6 red Magnetic Quick-Release Keyring Flashlights. Compact size. 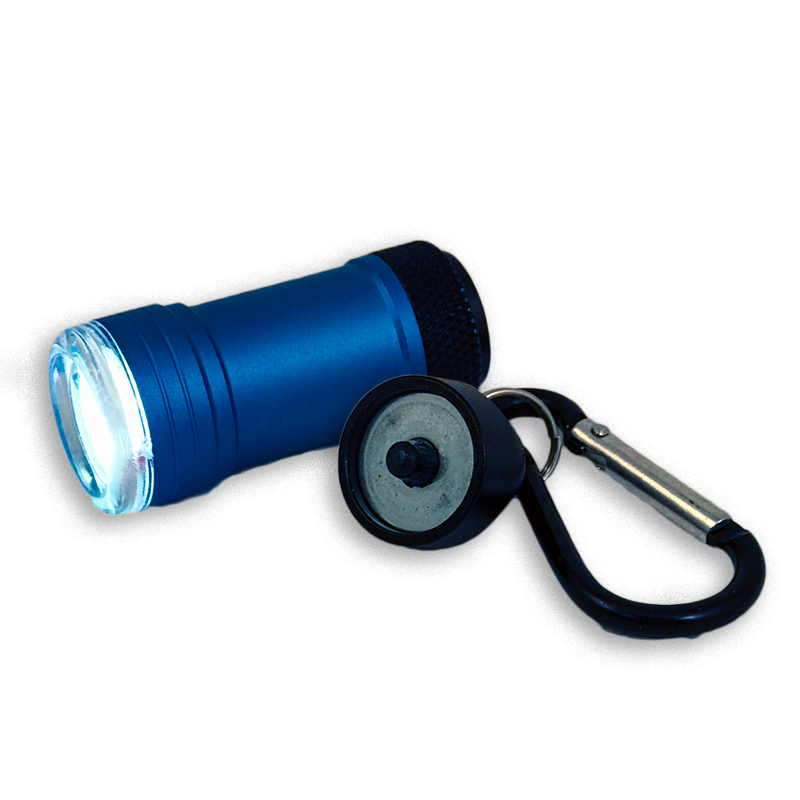 The body of the flashlight (without carabiner clip) measures 2.75". Convenient carabiner clip to attach to purses, book bags and much more! Made of durable aircraft aluminum. Super bright COB LED Flashlight. Magnetic quick-release feature to activate the light and make portable. Three light modes: high (detaching light once), low (detaching light a second time), and flashing (detaching light a third time). Requires 4 LR44 batteries (included). Display Dimensions: 12.5" X 12" X 6.25"